The Sparkle and Shine Easter Ball in association with the Keith Duffy Foundation will take place on Easter Bank Holiday weekend, Saturday March 26th, in the Limerick Strand Hotel. The Sparkle and Shine initiative was was set up to raise funds for Breast Cancer services in the Limerick region, they have chosen the Midwest Cancer Foundation and Symptomatic Breast Unit in the University Hospital Limerick, as their chosen beneficiaries. Miriam O Callaghan, one of RTE’s most loved and respected faces will be Master of Ceremonies for the glamorous event. 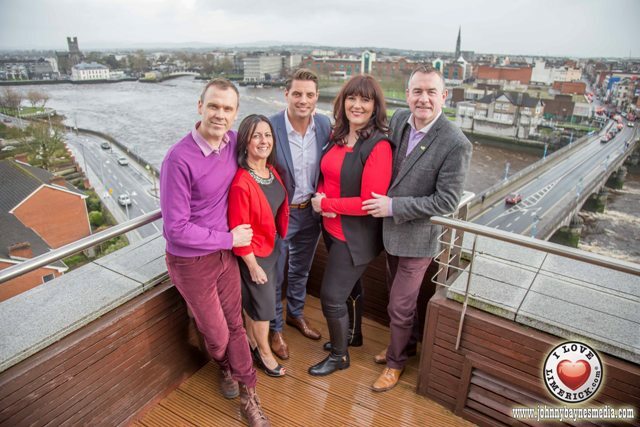 Miriam has become a household name in Ireland following her success on RTE’s Primetime and Saturday Night with Miriam. There will be a live fundraiser auction compered by none other than Keith Duffy himself with some seriously fabulous treats up for grabs. World-renowned singer Cole Page will provide entertainment for the evening. Cole has performed for dignitaries from the worlds of politics, music and sport including Bill Clinton, Sir Alex Ferguson and Robbie Williams. There will be Easter favours at each seat, spot prizes, table prizes and gift bags and a raffle with a guaranteed prize of a minimum value of €100 at each table with plenty more opportunities to win prizes throughout the night. The Sparkle and Shine Easter Ball in association with the Keith Duffy Foundation will take place on the Easter Bank Holiday weekend, Saturday March 26 in the Limerick Strand Hotel. Tickets cost €100 or €1000 for a table. For more information or to purchase tickets please contact Alice O Farrell at aliceofarrell@gmail.com or call 087 220 4821. Use the hashtag #SparkleShineKeithDuffy2016. See www.clionasfoundation.ie for more info.